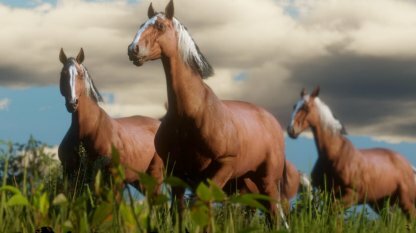 Horses play an integral part in Red Dead Redemption 2. Read about the types, their traits, & how you can acquire them in this guide! 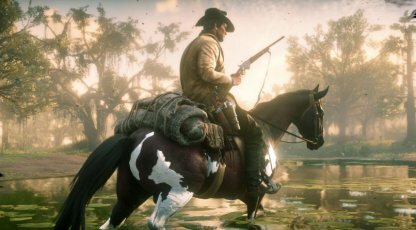 There are a number of transportation options in RDR2, but you'll likely spend the most time riding your horse. Whether in snowy mountains or green terrains, your horse will ride with you. 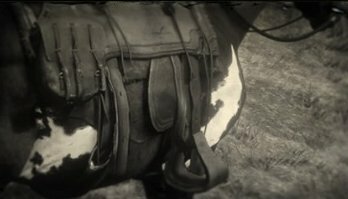 Arthur can whistle to call his horse to go to him as long as it is within range. However, horses have a whistling range that determines at which distance from can you only call your horse. There are a variety of horse species in this game, each with their own strengths and weaknesses. Some horses are faster than others, some have more stamina, and there are some in-between. 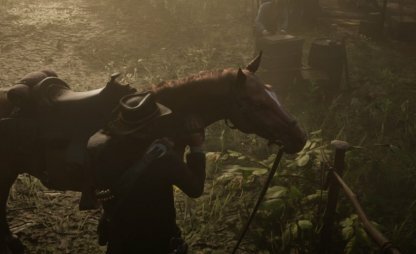 Horses will die permanently if it takes too much damage in RDR2 so make sure to take care of your horse. You'll have to get another horse if yours die as it will not respawn. Save your horse from death with the Horse Reviver item that you can buy from Stables. 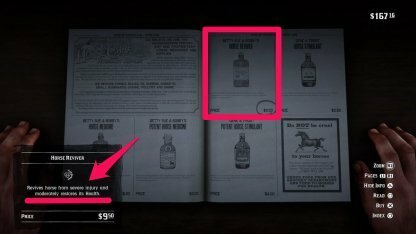 It's recommended to always have one Horse Reviver with you just in case something happens to your horse. 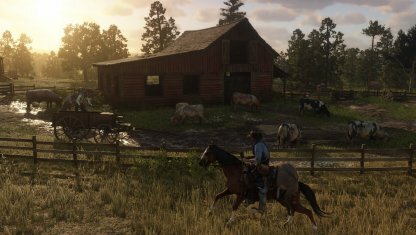 Keep an eye on the status of your horse's health and stamina through the icons on top of the mini map. 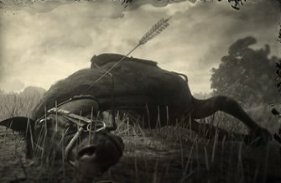 If you completely deplete your horse health or stamina, it will end with it either dead or you thrown off. Riding horses are available for purchase in stables located in most towns and cities. 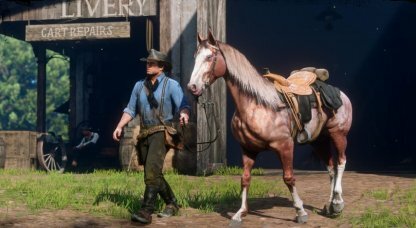 You can select from different breeds available in the stable, as well as other items you can use on your horse. Alternatively, you can also make catching and taming horses into a business by selling caught wild horses in stables. These horses must be fully domesticated first before you can sell them though. Domesticate wild horses by catching and taming them. It's a bit of work as you have to lasso, calm it down, then mount it to be able to lead it back with you to a stable. When desperate or lacking in case, you can steal horses from other riders. Just make sure not to do it in towns or cities or it will get you a bounty. Your horses status are directly linked to the level of bond you have with it. This higher the bond, the better your horse's stats will be! With each bond level, your horse will learn to do tricks and adapt new traits. This can range from rearing when stopping and walking sideways, to being able to wade through deeper waters. Horse equipment such as saddles and stirrups are available for purchase at the stables. They're a good investment as you can use them with different horses and some even affect horses' stats. A horse's stats are affected by its condition, whether in its mood or general hygiene. Make sure to always feed your horse and brush to keep it at its best shape. Following Mounts can be unlocked by purchasing or herding wildlife ingame.